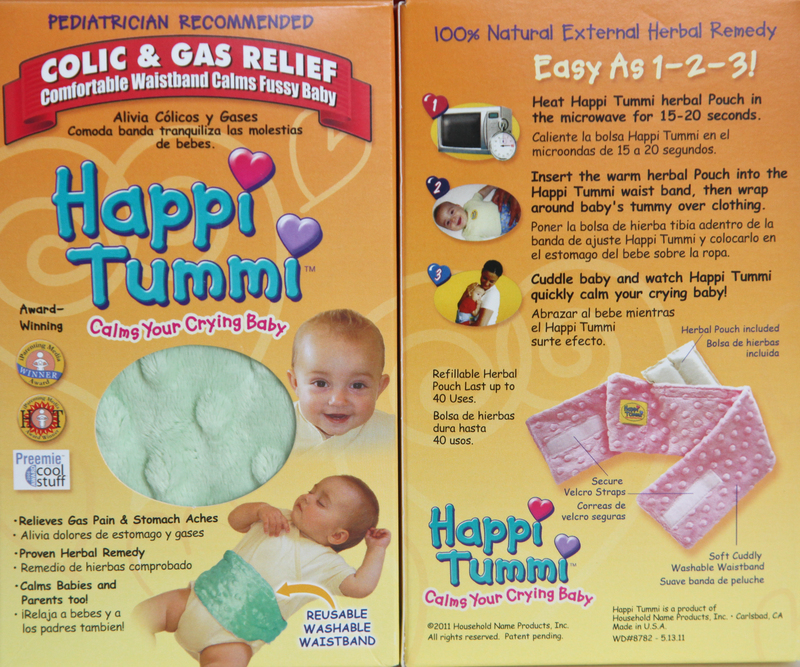 The Happi Tummi® was invented out of necessity by Nanette Meneses and has been proven to provide nearly instant relief for infants with colic and stomach aches. 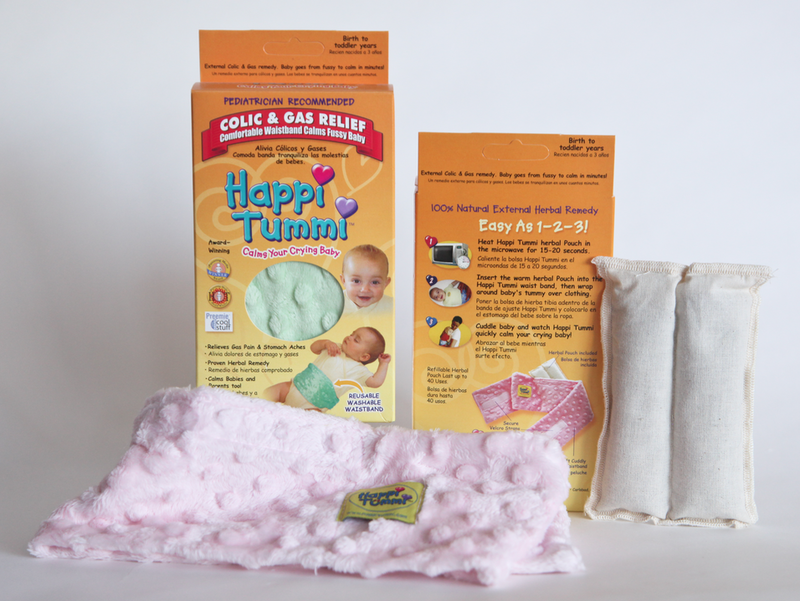 The Happi Tummi® consists of a waistband and herbal pouch containing lavender, chamomile, lemon grass, peppermint, spearmint, wheat and flax seed. 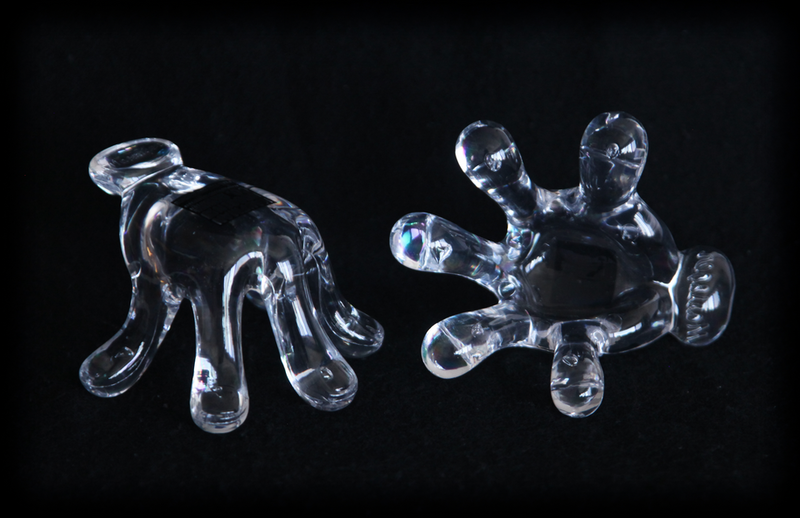 When heated for 15 to 20 seconds, the herbs are activated to release healing properties which provide almost immediate relief of most common stomach ailments.